You know, instead we’d like to tell our children about all the great individuals we have met over the years. That ordinary people who made an extraordinary difference. That their effort was not in vain. That they are the reason we can still enjoy sharks, turtles, whales, corals and colorful reefs today. You and I decide whether that conversation happens or not. And we decide every single day. We couldn’t have wished for a better partner than PADI 5 star IDC Dive Resort Oceans 5. No matter what course you would like to do, the instructors of Oceans5 will make sure it will be a fun and unforgettable memory. Together we offer you a full range of PADI dive courses, from your Open Water course to your Divemaster certification. 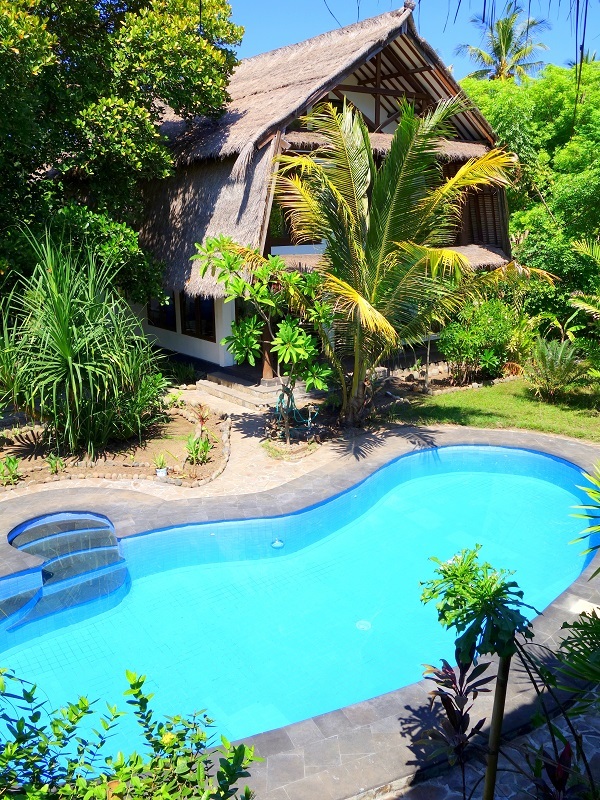 The head office of the Gili Shark Conservation Project is located in one of the lovely Villas of Villa Nangka. 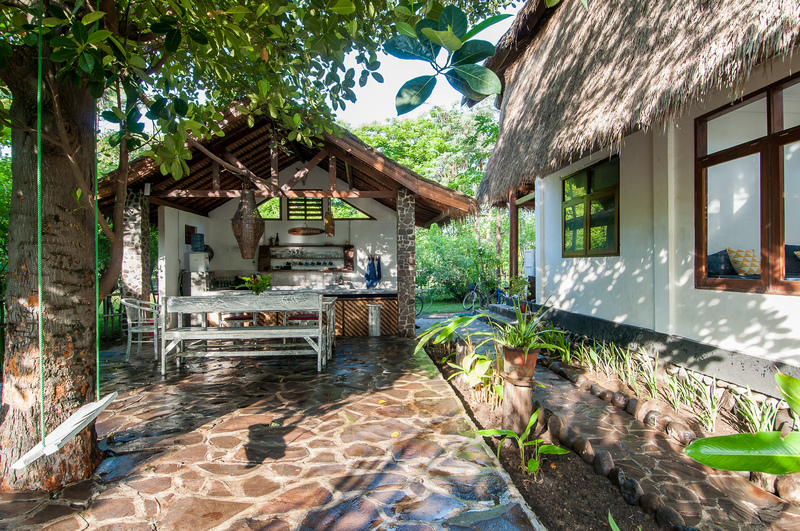 Villa Nangka is a unique boutique hotel located at the heart of Gili Air. As soon as you walk through the gate, you notice the spacious set up (2000m2) and you will feel the tranquility. 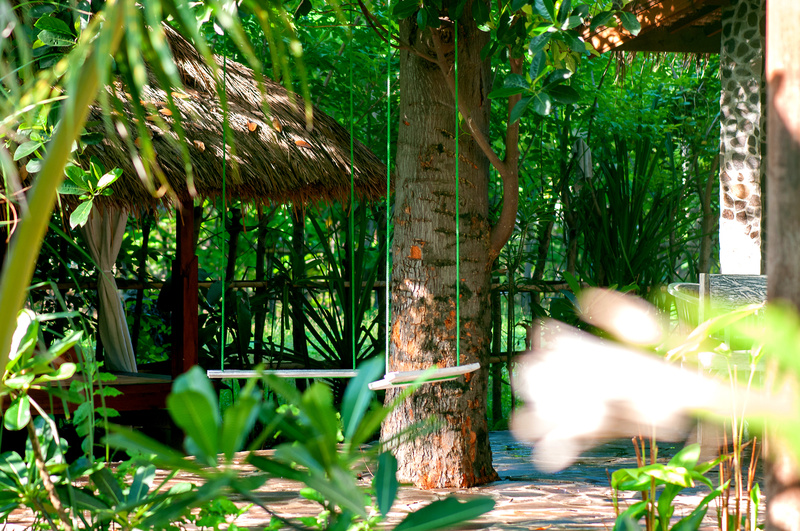 This hidden gem has five different villa’s, each designed with love and a lot of eye for detail. In the middle of the tropical garden you find a fully equipped open kitchen and outside dining area overlooking the 12 meter swimming pool. 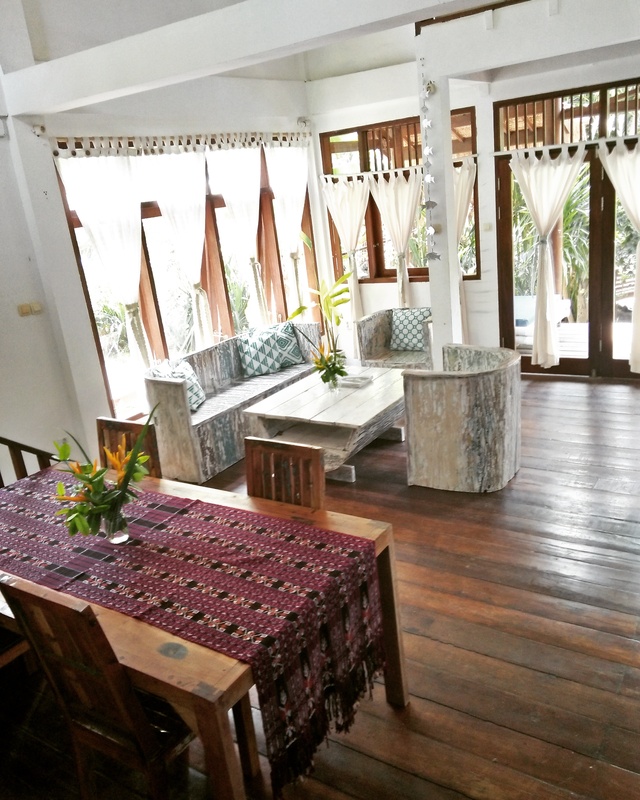 The Villa where you, as a participant of the Gili Shark Conservation Project, will stay, has fresh hot & cold water, a spacious living room, two private terraces overlooking the swimming pool and two dorm bedrooms (maximum 4 guest in one bedroom). The bedrooms are exclusively reserved for members of the Research Team. The owners of Villa Nangka, together with their wonderful staff, will make sure your stay will be a memorable and unforgettable one! 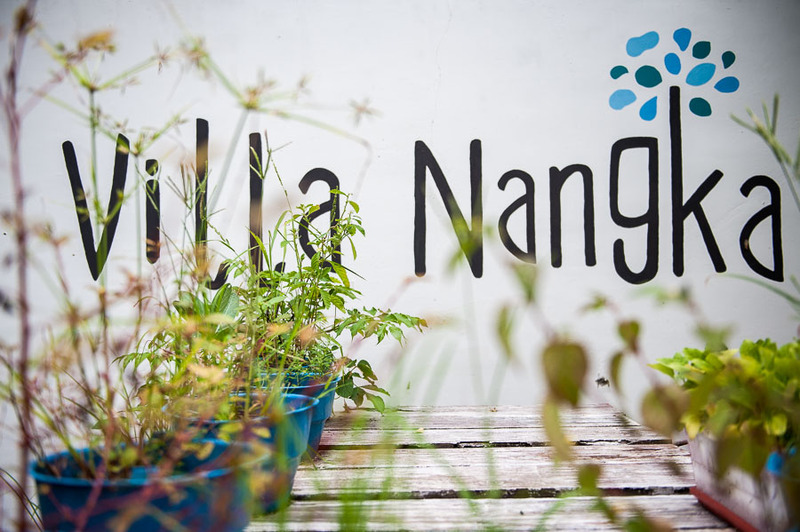 Curious what other people say about Villa Nangka? Read the reviews of their regular guests here. SharkBase is a Citizen Science project of the Support Our Sharks (SOS) Ocean Conservation Society. It is the mission of SOS to support healthy oceans by promoting better protection for sharks and rays through research, education, and conservation. One of our projects at Gili Shark Conservation is to collect shark sightings from all the dive shops on Gili Air and submit them to Shark Base scientist. We call this the Unite Gili Project, where our dive community comes together to make their dives count. We are proud to say that our Research Team has submitted the most SharkBase sightings in 2017! 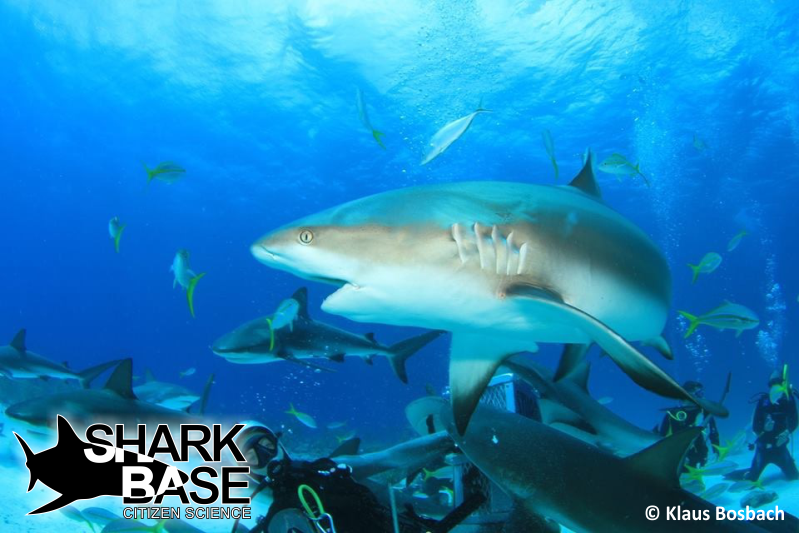 Whether you have personally encountered sharks or not, you can contribute to SharkBase. Discover 7 ways that you can help and become a Citizen Shark Scientist today! 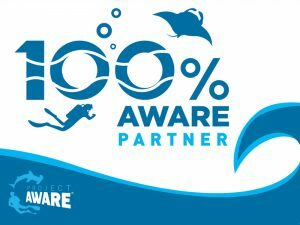 Did you know that every participant of the Gili Shark Conservation Project receives the Project Aware Shark Conservation Distinctive Specialty Course? A great course that teaches you everything there is to know about sharks and what you can do to protect them. One of the projects of Project Aware is Adopt A Dive Site. We joined this project in 2017 and adopted one of our favorite dive sites; Meno Slope. Once a week our Research Team does an underwater clean up dive at Meno Slope and collects important information about underwater debris. Together we work towards implementing sustainable solutions to remove plastic from our oceans and prevent it from entering it in the first place. Two girls met in 2014 for the first time in Indonesia. One of the things they have in common is their drive to make the world a bit more beautiful. How? By one random act at the time. One of the girls became the director of the Pelita Foundation and the other one became the director of the Gili Shark Conservation Project and in 2017 they started their official collaboration. The Pelita Foundation and the Gili Shark Conservation Project both have a strong focus on education and empower each other by exchanging knowledge and sharing experience. Members of our research team have the opportunity to join the team of the Pelita Foundation in the weekend and join them on their mission to empower the children of Lombok to reach their fullest potential. Are you not a member of our research team but would you like to join their program for a weekend and help the kids to improve their English, join their surf lessons and share life and leadership skills? Send us a message at sharks@gilisharkconservation.com. The university of Hull is interested in similar research as we are: such as if fishing is affecting the likelihood of sharks, rays and indicator species in the ‘true’ Gili Matra Marine Recreational Reserve on the west side of Gili Trawangan and the other less protected areas of the reserve which are open for diving, fishing and other activities. The work will be carried out with Dr Domino Joyce, a lecturer in Evolutionary Biology and Zoology. 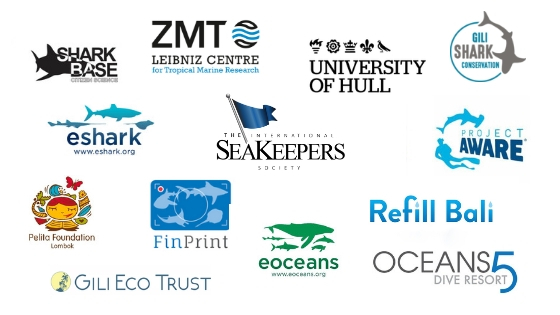 The University of Hull has a rich background in Marine Sciences and we are proud to have them on board with us as we work together to establish`Indonesia’s first shark nursery in 2019. For our #PlasticFreeParadise campaign we teamed up with Refill My Bottle, a community of mindful business owners that made a commitment to preserve our eco-system. Together we created a network of water refill stations on the Gili Islands where people can refill their bottle for free or a small fee. By doing this we increase sustainability, have a lasting impact on the environment and keep our islands beautiful. Would you like to know where your closest Refill Station is? Download the app or check the map. Do you have a business on the Gili Islands and are you a interested in becoming a Refill Station? Just send a message to sharks@gilisharkconservation.com and we get in touch with you. It’s up too if you want to offer water for free or for a small fee. If you want, we will showcase your business on the map of Refill Stations and we will add you to RefillMyBottle App. We support ZMT with their research on the Gili Islands. 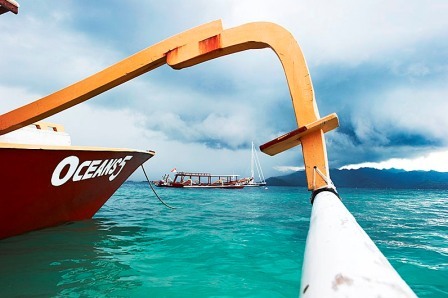 The overall aim of their research is to empirically analyze the social-ecological system in the context of scuba dive tourism on the Gili Islands. The Gili Islands have a social system represented by the dive businesses and an ecological system represented by dive sites. Together we will be researching the connection between the social and ecological system. The method that they will be using are mainly interviews. ZMT is also going to link different dive sites based on their physical, biological and species similarities. For this project they will be using our raw data of our conducted fish and benthic surveys and roving surveys. Would you like to know more about our research or how you can get involved? Just send us a message at sharks@gilisharkconservation.com!